Update: the price in Europe seems to be € 449,00. 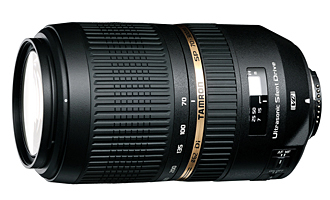 Tamron will announce the price of the new Tamron SP 70-300mm F/4-5.6 Di VC USD lens on July 29th, 2010 (+/- 1 day depending on your location). This lens was released back in March, 2010 (see full press release). The Tamron SP 70-300mm F/4-5.6 Di VC USD should feel a lot like the Nikon 70-300 (similar length and weight) and should have a very fast AF. This is a full frame lens.